One of the first things people notice when they first meet you is your smile—you should be proud to show off your pearly whites. That means it is important for your teeth and gums to not only be healthy, but also look healthy. You can have that perfect smile you’ve always wanted through routine dental care in Kansas City, MO, from the office of Lawson S. Rener, DDS PC. 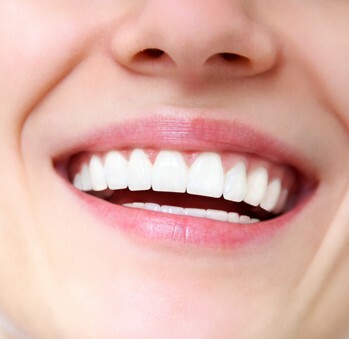 The general dentistry services provided by our friendly, compassionate, and helpful staff can restore the beauty of your smile while also improving your overall well-being. We take great care to handle any dental issues we find while also offering preventative dental care and cleanings to stop future problems from ever developing. Uncomfortable in the dentist chair? We also offer sedation dentistry options to help you feel completely relaxed during your appointment. Don’t go any longer than necessary without getting the proper dental care you need. We provide comprehensive examination and prevention services to care for your oral health. Additionally, we have access to a skilled network of dental specialists if your situation ever requires the need of specialized care. Many people have preconceived notions about what it is like to receive dental care. This builds up into anxiety that can actually keep individuals from getting the care they need, increasing their risk of gum disease, tooth decay, and other health issues. There is no need to feel uncomfortable or anxious when visiting our dentist. Not only do we use the most advanced technology and treatments available—which drastically reduces the amount of discomfort you might experience—but we also provide sedation dentistry so you do not have to worry at all about your next dental appointment. Our sedation specialists also provide hospital sedation services by request. This is helpful for severe cases requiring general sedation in an outpatient hospital setting. Cavities and decay can cause pain, bad breath, and eventually the loss of your teeth, bone, and gums. To ensure that you do not have to experience the worst of what tooth decay can bring, we recommend you schedule an appointment with our dentist and his staff. We can quickly assess the situation inside your mouth and begin treating it efficiently and effectively. Our dental staff treats cavities by first removing all of the decay that has accumulated on and around the tooth. We then fill in all of the voids left by the decay with a filling so you can have restored form and function to the affected tooth. Our staff specializes in providing amalgam, composite, and cast restorations to our patients. Contact us at (888) 655-3486 in Kansas City, Missouri, for stress-free sedation dentistry. We look forward to providing you with the comprehensive dental care you need.